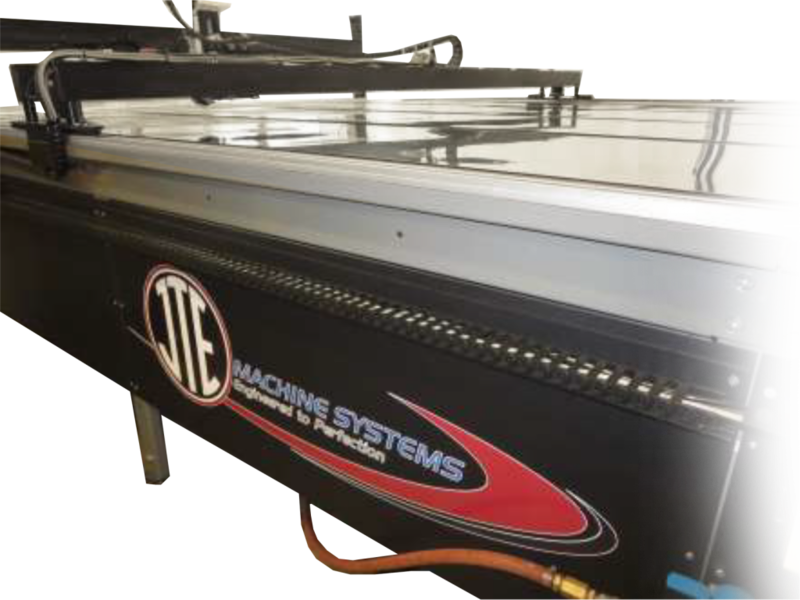 The JTE Ultrasonic X/Y Cutting system cuts and welds the edges of a variety of materials, utilizing ultrasonic technology across the entire vacuum table. The only system of its kind to take a pattern cut file, automatically upload it into the cutting software, and achieve a weld and cut simultaneously, including curved edges, for the manufacturing of sleeping bags, valances and awning products, inset screens, solar coverings, and digitally printed polyesters. The machine includes a specially designed bridge and tooling which ensures a reliable, consistent and efficiently produced welded edge at the same time a pattern is required to be cut. It’s great for straight line cutting as well. With this solution, it is possible to eliminate entire processes of surging, sealing or hemming within the current production system, saving time, and improving the product quality. JTE also offers other ultrasonic, RF, and cutting solutions to complete your production requirements.